Competition in today's global marketplace is fierce so multinational companies must to get their tax advice from a accounting firm that specializes in international taxation like Atlantax Group LLC. Working with us is easy because our staff and accountants have the experience of working with businesses across the globe. Whether you own a company that's entering new global markets or expanding existing international operations, we can contribute to your success. 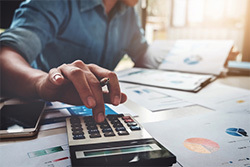 Our international tax accountants possess an in-depth understanding of how tax regulations apply to foreign businesses and will supply the guidance needed to navigate the complex international landscape. As your tax advisor, we'll help you avoid financial mistakes that could cost you money and limit your tax burden to maximize profits. Call us now at 212-601-2670 or request a consultation online to find out more about our international tax services for businesses all over the world.